Her purple corset giving way to a flaring black and white ballerina skirt, this gothic fairy holds a.. This stunning canvas features an Adult Dragon Comparison Chart design which reviews the different si.. Sitting alone on the ground, this young fairy has one leg crossed over the other, her black boots gi.. This awesome punk rock skull is cast in a high-quality resin before being lovingly hand-painted, sta.. Nemesis Now is pleased to bring you this gothic dragon incense holder, available as part of our high.. 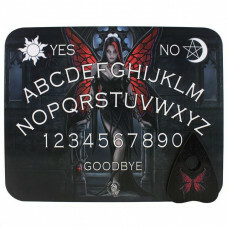 Nemesis Now is pleased to bring you this gothic dragon incense holder, available as part of our hi.. This stunning canvas features the Candelabra artwork by the amazing Anne Stokes.The canvas is 25x19c.. 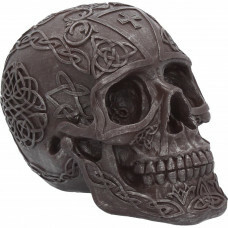 This iron skull is features a stunning Celtic design with a deadly twist! Cast in the finest resin .. Surprise your lover with a deathly proposal! Grinning seductively, this slender cracked skull clasps..